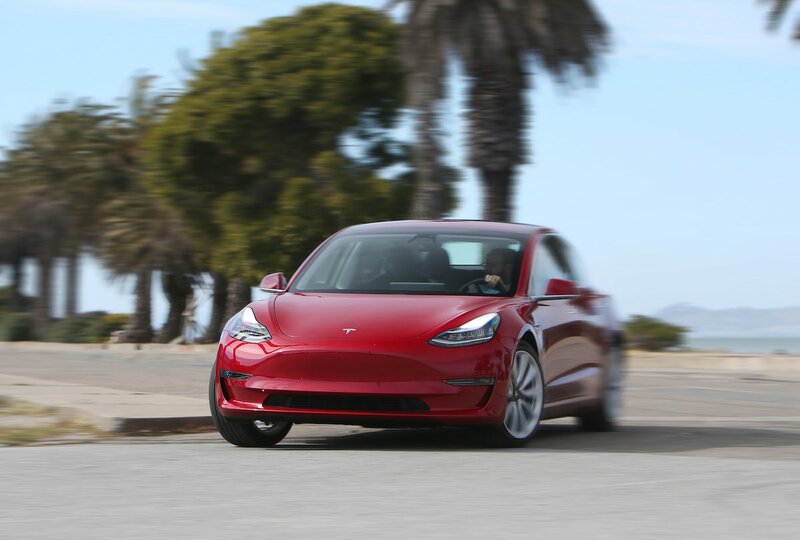 Tesla Model 3 Performance, Engine, Ride, Handling | What Car? 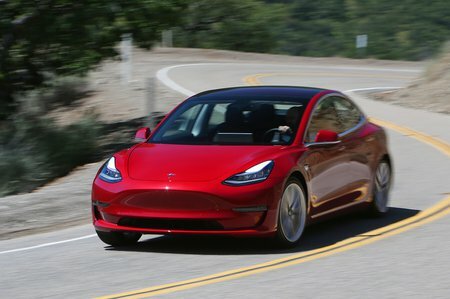 So far, we’ve only driven the range-topping Model 3 Performance, and one of the most impressive things about this version is undoubtedly the way it accelerates. 0-60mph takes just 3.3sec – a Porsche 911 can’t even manage that – and, such is the ferocity with which all four wheels claw at the road to slingshot you forwards, if anything, it feels even faster. 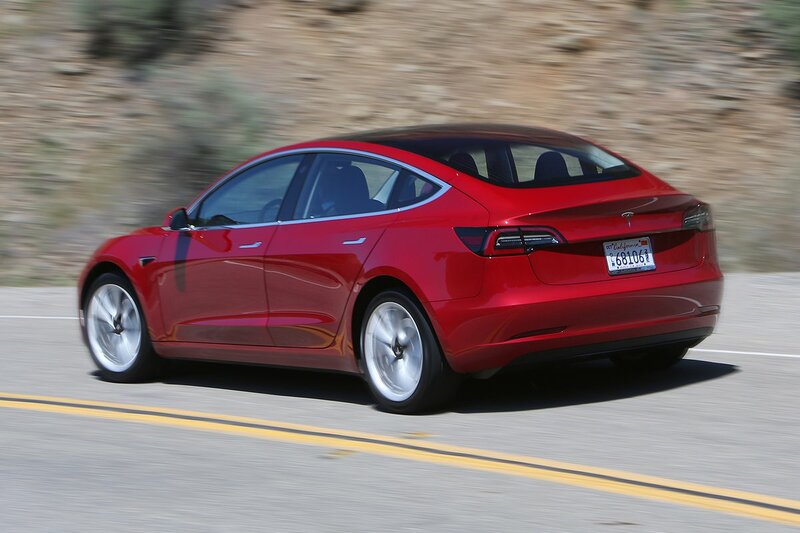 Compared with other electric cars, even the pricier Jaguar I-Pace, the Model 3 also handles really quite well. True, it’s still a heavy car because of all those batteries it carries around, so doesn’t tuck its nose into tight bends as keenly as, say, an Alfa Giulia Quadrifoglio. But it still feels really planted through faster corners and its extra-sticky Michelin tyres generate an enormous amount of grip. As for ride comfort, well the Performance version is undoubtedly quite firm – hardly surprisingly when you consider it has sports suspension and massive 20in wheels as standard. It’s still no less forgiving than M Sport versions of the latest 3 Series, but if comfort is a priority, the softer Long Range model would seem to be a no-brainer. Being a pure electric car, the Model 3 is, unsurprisingly, whisper quiet at low speeds so it’s extremely relaxing to drive around town. However, on faster roads there’s quite a lot of road noise and you can also hear the wind whistling around the frameless doors. In short, it actually isn’t the most peaceful of long-distance cruising companions. The brakes deserve a special mention for being far less grabby than those in the majority of electric cars. This makes it easy to slow down smoothly without your passengers thinking you’ve only just passed your driving test.